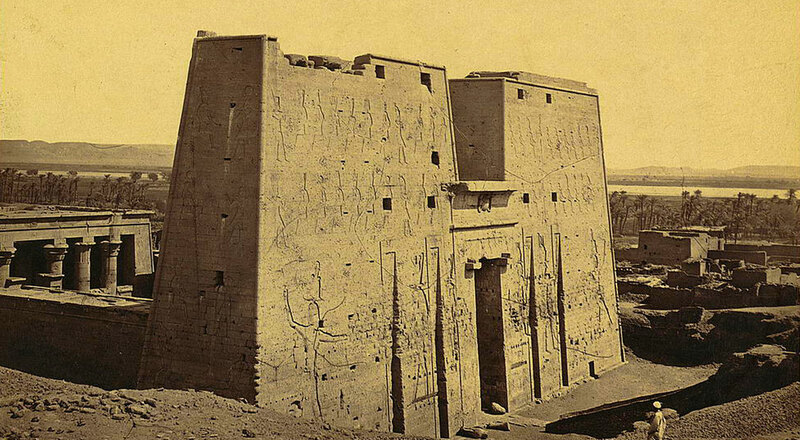 For centuries, writers, adventurous travelers and archaeologists with a thirst for travel exchanged cold Europe for a few months in warm Egypt, indulging themselves with legendary buildings and breathtaking works of art. 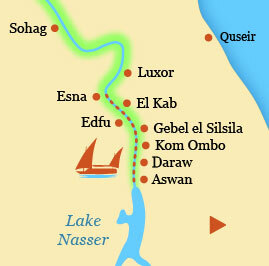 Although traveling overland was impossible, the Nile was an ideal means of transport. 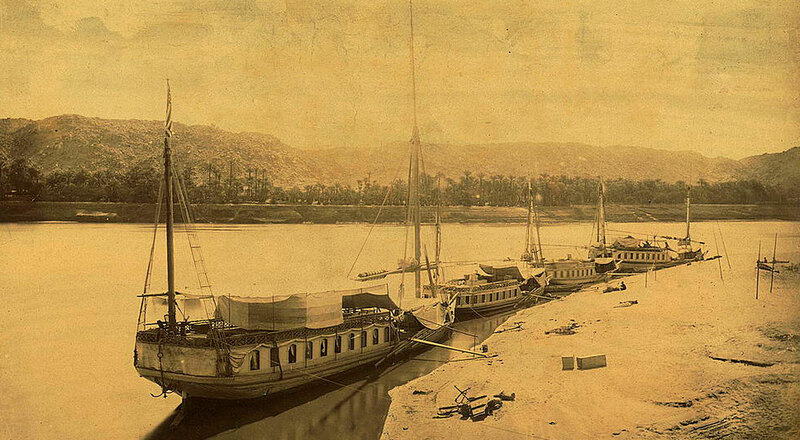 The Egyptian harbor of Boulaq, near Cairo, operated as the starting point where a Nile houseboat with a crew could be hired to sail in about eight weeks to the first cataract at Aswan. The houseboats became more and more luxurious and evolved into elegant wooden passenger cruisers, beautifully decorated and with every comfort. 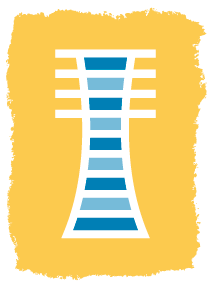 However, not everyone could afford such a long and expensive trip. 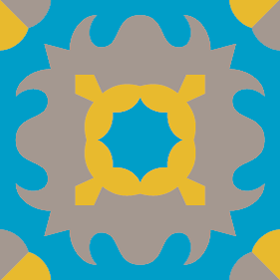 In the second half of the 19th century, steamboats solved the problem and the Dahabiyas faded into the background. Although a select group could still enjoy the ultimate sailing experience on the Nile in the early 20th century, these special houseboats were doomed to disappear. Huge modern cruise ships slowly took over from them. 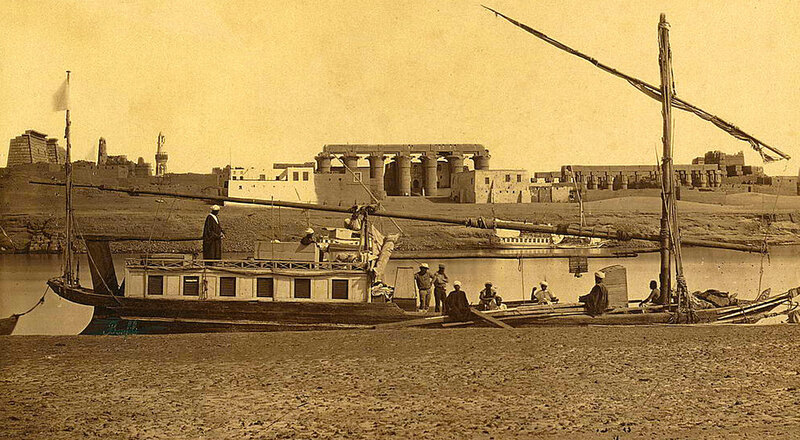 Sailing the Nile by Dahabiya has inspired travelers to write about their experiences. Here you find a selection their stories. Enjoy reading them! 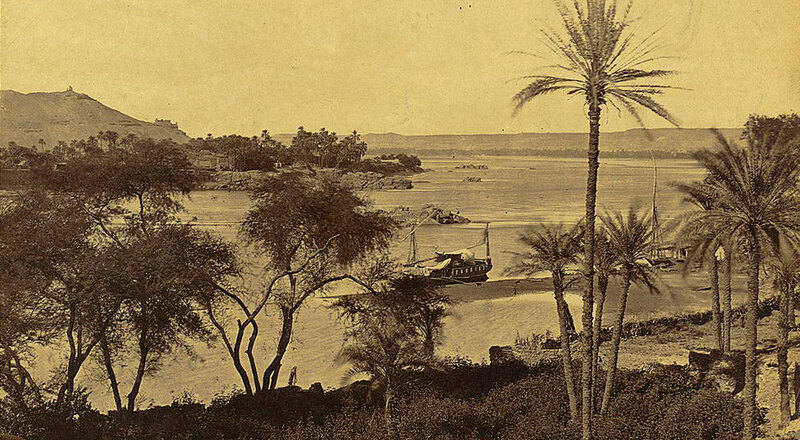 Up the Nile by steam was published in 1872 by Thomas Cook & Son. 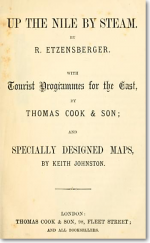 It contained tourist programmes for the Middle East and specially designed maps. Sophia Poole (1804–1891) was the sister of the Arabist Edward William Lane. 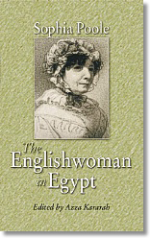 She visited Egypt and wrote a book in three volumes about Egyptian women. 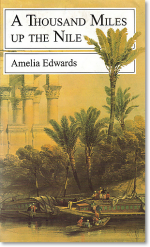 Amelia Edwards (1831–1892) was an English writer, traveller and Egyptologist. 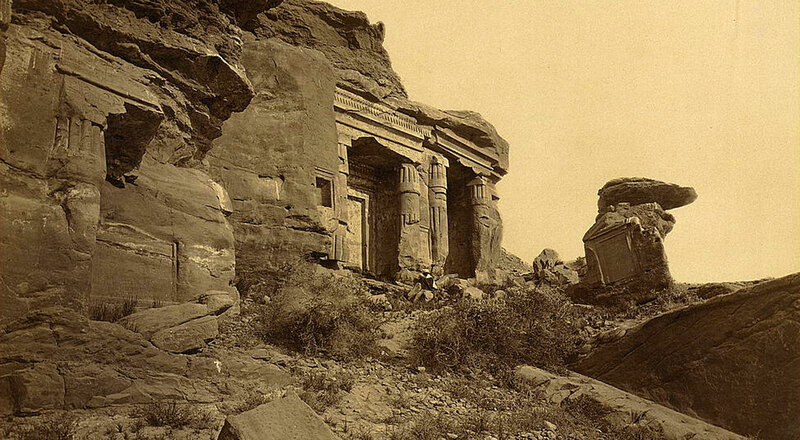 In the winter of 1873 she discovered Egypt, sailing the Nile from Cairo to Abu Simbel in a Dahabiya. 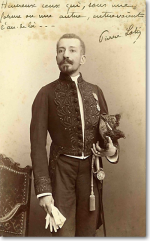 Pierre Loti (1850–1923), pseudonym of the French writer and traveller Julien Viaud. As a Navy officer he sailed around the world.